Bridgestone Uni-directional motorcycle tire pattern for reliable performance on dry and wet surfaces. Specifically constructed motorcycle tire for today's American style Touring motorcycles. Designed specifically for GL1800 replacement. The tire is awesome. It’s really smooth no vibration. Great tire and Great folks to do business with. Great price and super fast shipping. Been my favorite GW motorcycle tire, traction, miles and a great price ???? Great tire for Goldwing, I always change a set. Balance with very little weights and handle a some agressive riding on the mountains. 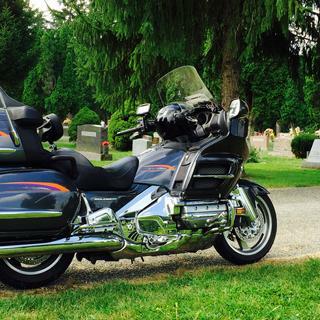 -m-2008 HONDA Gold Wing Audio/Comfort/Navi/XM GL1800--Great tire for price, I put 10,000 miles on last set, could of went another 5,000 but replace because of the flat spot in middle of tire , it was throwing off the handling of the bike. 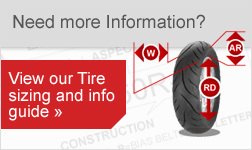 I've been using Bridgestone tires for 25yrs because of the price and they work great. Rocky Mountain has been great to, never have any problems. I have over 16000 miles on it mounted on 2005 gl1800. I used dyana beads to balance it. Still handling very well. I will continue to buy Bridgestones. Great price on a great tire. 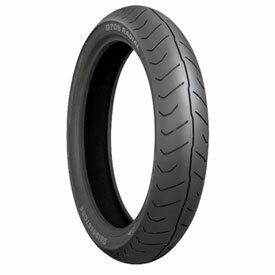 The Bridgestone G709 gives the best wear and least amount of cupping of all the other Gold Wing tires I have tried. Have logged over 150,000 miles on a GL1800 with Bridgestone tires. I change the front tire out at about 6000 miles as I always replace both front and rear tires at the same time and only get about 6000 miles out of the rear tire. You can get a few more miles out of the front tire. Ah, there is nothing like a new set of Bridgestones. Yippee! I do ride a little aggressively. These tires have always performed to my satisfaction. Other tires I have tried can't compare to the Bridgestones for handling. I rate the tread life high because I know you can get well over 10,000 miles out of a set of Bridgestone tires if you ride like - well normal. 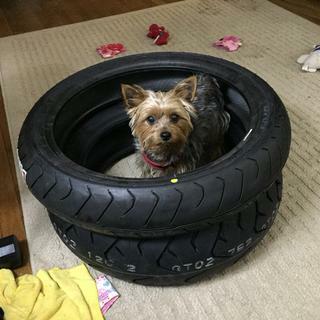 Best tire and only tire I run on my Wing, It grips the road very well, the tire hasn't ever broke loose on a wet road..
My third set, great handling tire, no fork wobble at low speed,very good wet handling, I have 120k on my wing I will continue to use these tires. When I order tires for my Wing I check all the dealers but I always come back to Jake Wilson because they always have the best prices for the brand of tires I use. Shipping is outstanding I ordered a rear tire yesterday (Thanksgiving Day) and this morning got an email that it has been shipped. I have found this G-709 to be the best front tire on my GL-1800 for mileage and stability. Average of 14,000 miles with little or no cupping so the front end wobble does not exist with this tire. Just ordered my 3rd and will continue to buy them as long as I ride. The g709 is best tire you can get for the heavy weight GL1800. Sticks in the wet and dry conditions.